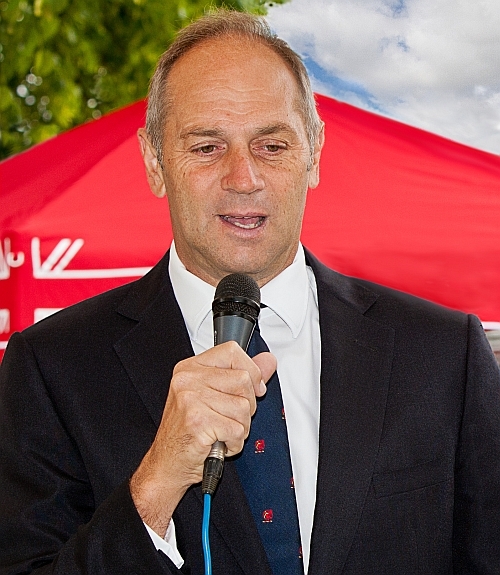 Sir Steve Redgrave giving a speech at a regatta. Sir Steve Redgrave is an inspirational athlete. Self-belief is probably the most crucial factor in sporting success. The bodies are roughly equal, the training is similar, the techniques can be copied, what separates the achievers is nothing as tangible as split times or kilograms. It is the iron in the mind, not the supplements, that wins medals. • Stop talking about it – go take a photograph! • Imagine greater images! Technique will follow. • Practice, practice, practice, then do more! Your photography will improve! • Negative people will hold you back. Supporters will maximise your potential. • Always carry a camera! ‘Nuff said! • Using your imagination to pursue great images will yield the greatest satisfaction and deepest meaning. • Learning photography, like anything else, requires time and effort. • Do it well and repeat it… you’ll soon become a quality photographer. • If you don’t try it, you won’t learn it. • Teach kids, friends, mother, aunt, enemy… everyone, about photography. If you don’t have any critics, you probably don’t have any success either. • Self assurance will get you past criticism – then move on to success. • Dust off and get going again! • You have to start somewhere. Work on it and you’ll get there. Life is like a camera, focus on what’s important, capture the good times, develop from the negatives, and if things don’t work out, just take another shot. • That says it all! • Get your camera out. Do it now! This entry was posted in Background Info., History, Insights, Opinion, Whos Who of photography and tagged Approach, Art, Imagination, Insight, Insights, Inspiration, Light, Photographers, Practice, Progress, Quote, Quotes, Vocabulary. Bookmark the permalink.